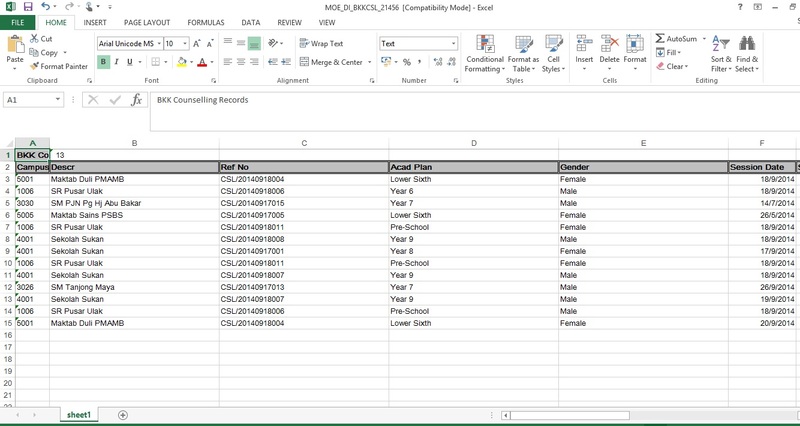 This function allows the users to generate counselling records of all school. Enter MOE_DI_BKKCSL in the Begins with field. You will be directed to MOE_DI_BKKCSL page. The report will display list of Counselling records through-out all acad-career.